The plans for President Donald Trump’s border walls in Starr County are extreme and alarming. Standing 20- to 30-feet tall, the structures would be the tallest border walls ever built in the United States and would wall off 32 miles of the Rio Grande in three sections, the longest of which would run from Roma all the way to Falcon Lake. The other two sections would be built on the southern edge of Rio Grande City and La Grulla. Each of the sections would be made of bollards — eight-inch wide steel posts with four-inch wide gaps. The footprint would include a 150-foot “enforcement zone” lining the south, or river side, of the wall where all vegetation would be cleared. If the walls are built, these towns and the smaller communities of Salineño and Chapeño would be cut off from the river that is responsible for their very existence. Residents could lose access to the river for recreation, and the character of these historic communities would be spoiled. Many miles of these walls would also be built in the Rio Grande floodplain. Border walls in the floodplain pose a hazard to people living on both sides of the river, because a wall in a river can act like a dam. 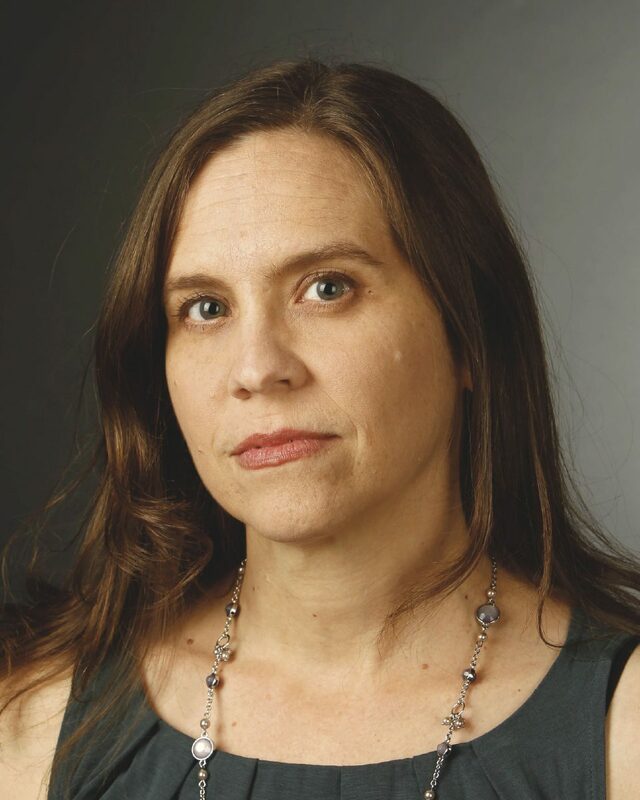 Stefanie Herweck serves on the executive committee of the Lower Rio Grande Valley Sierra Club. She lives in McAllen and writes for The Monitor’s Board of Contributors. U.S. Customs and Border Protection will likely maintain, as they have in the past, that water can pass harmlessly between the bollards. But floodwaters are full of debris, not crystal clear, and that debris lodges in the gaps between bollards transforming the walls into a solid surface that water cannot pass through. This has happened repeatedly to border walls in Arizona. In 2011, a section of border wall that crossed a wash in the Organ Pipe Cactus National Monument became clogged with debris, creating an impermeable dam and a lake behind it that was six-feet deep. The pressure of the backed up water blew out a 40-foot wide section of border wall, washing twisted steel bollards downstream. The same thing happened to another section of bollard wall near Nogales, Arizona, three years later. This could very likely happen to bollard border walls in the Rio Grande floodplain, as well. Even if the Trump Administration’s Starr County walls are not swept away, they could dam rainwater that would normally flow into the river, worsening flooding in the communities in which they are built. If a storm like those that hit the Valley in 2010 were to swell the Rio Grande, walls could also deflect the torrent deeper into Mexican communities such as Ciudad Aleman, which is already prone to flooding. Such deflection could even cause the river to settle into a new channel further to the south, effectively changing the location of the border. That’s why it is a treaty violation for either the United States or Mexico to build structures like border walls in the Rio Grande floodplain. It’s also the reason that the bollard border walls that CBP erected in Cameron County in 2009 and 2010 were required to be built north of the flood-control levees, in order to keep them out of the floodplain. 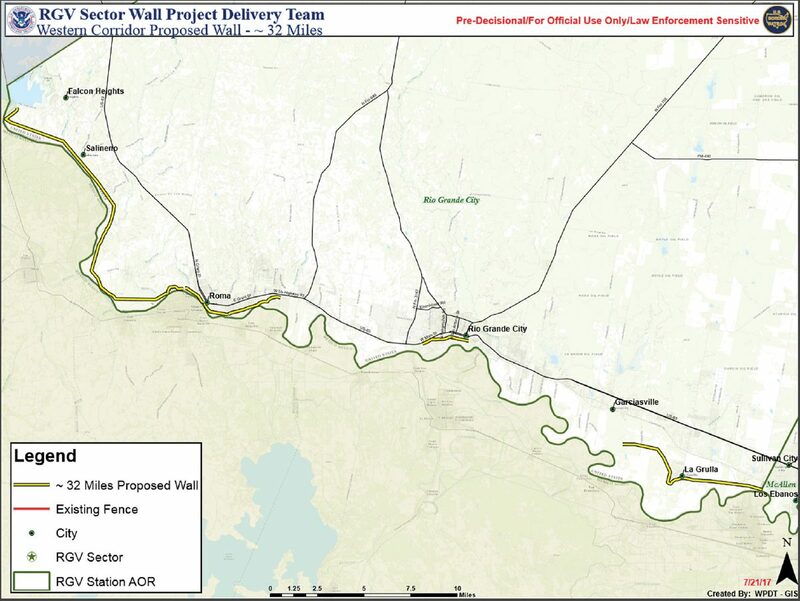 Many of Starr County’s 32 miles of proposed border wall would also require the condemnation of private property to build on, and still more acreage would be in the “no man’s land” between the border wall and the border. When property was condemned to build walls in Cameron County, landowners complained about “low ball” offers, and some promises of access to land behind the wall were not kept. Landowners in the border wall’s path through Starr County would be well-advised to talk to a lawyer. Starr County border walls could have a devastating impact on wildlife, too. Some would cut through the Lower Rio Grande Valley National Wildlife Refuge, fragmenting habitat and in places cutting off wildlife from the river, which in places is the only reliable water source. The people that Starr County sends to represent them in Washington — U.S. Rep. Henry Cuellar, D-Laredo, and Republican Sens. John Cornyn and Ted Cruz — should be fighting to protect their constituents from this pointlessly destructive project. But they will not stick up for us if we do not stick up for ourselves. Customs and Border Protection is accepting public comments on these plans and have extended the comment deadline through Friday, Oct. 20. Comments should be sent to commentsenv@cbp.dhs.gov. Since the agency has not explained how they will use these comments, the Lower Rio Grande Valley Sierra Club suggests that residents send copies of their comments to their members of Congress as well.